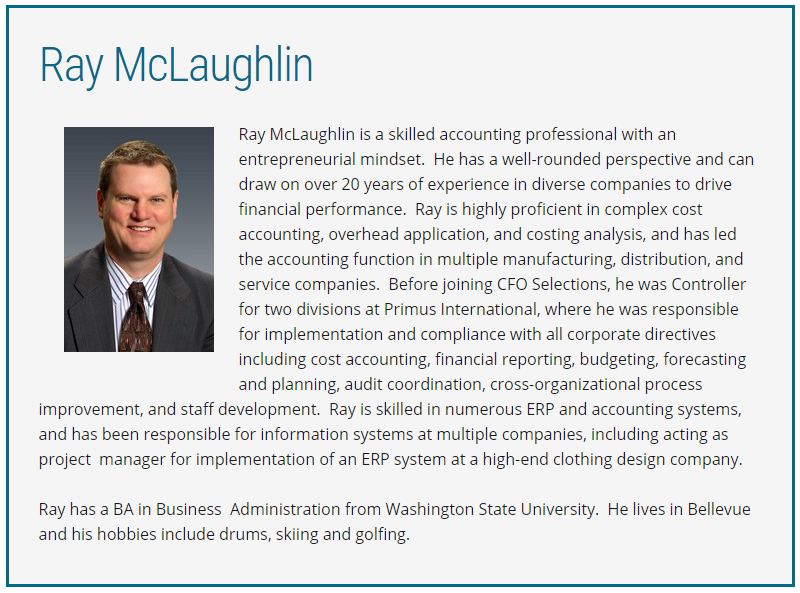 Ray McLaughlin is a skilled accounting professional with an entrepreneurial mindset. He has a well-rounded perspective and can draw on over 20 years of experience in diverse companies to drive financial performance. Ray is highly proficient in complex cost accounting, overhead application, and costing analysis, and has led the accounting function in multiple manufacturing, distribution, and service companies. 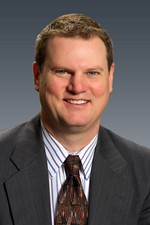 Before joining CFO Selections, he was Controller for two divisions at Primus International, where he was responsible for implementation and compliance with all corporate directives including cost accounting, financial reporting, budgeting, forecasting and planning, audit coordination, cross-organizational process improvement, and staff development. Ray is skilled in numerous ERP and accounting systems, and has been responsible for information systems at multiple companies, including acting as project manager for implementation of an ERP system at a high-end clothing design company. Ray has a BA in Business Administration from Washington State University. He lives in Bellevue and his hobbies include drums, skiing and golfing.